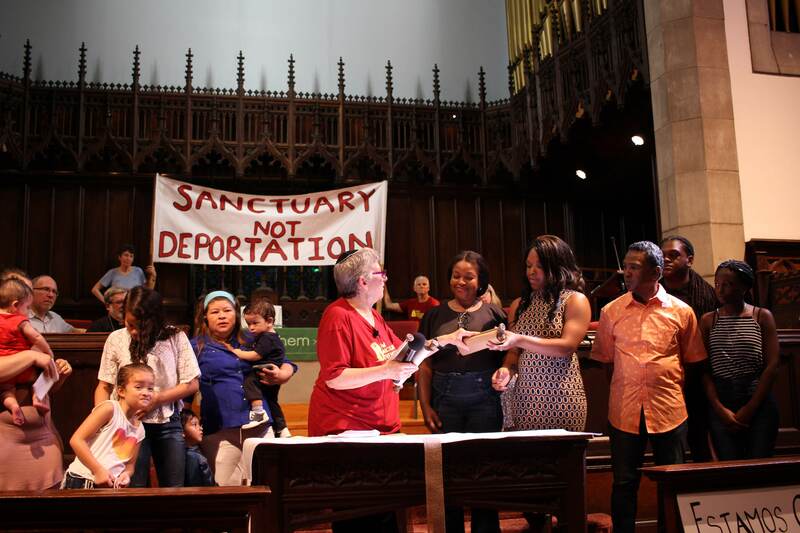 After 105 organizations across the city and country signed the open letter saying “NO” to Nutter’s plan to re-instate local deportations, we went to City Hall with our allies to hand-deliver 105 letter that simply said “NO” signed with the organization’s name. We waited outside the Mayor’s office for about an hour until his deputy director for public safety came to get the letters. We read off the names of each of the 105 supporting organizations in this unity action.